On Shopify, all customers are billed in your configured stored currency, be it US Dollar, Euro or others. The checkout page will display the prices in this currency by default, but it is possible to display prices on the rest of your website in your customers’ own currency, improving user experience and increasing your sales conversion. If you’re reading this, you probably run a successful e-commerce on Shopify and are selling your products domestically at ease. That means you now have the know-how and a strong basis to start exploring new markets overseas, and you might as well be ready to expand your business cross-border. And we’re here to let you in in one secret that will make a huge difference between you and your competitors that are also selling internationally to give you great head start: displaying products in different currencies on Shopify. First things first: the worldwide market is gigantic and going global is a tendency that keeps on growing. In fact, cross-border retail volumes are expected to grow at an annual average rate of 25% by 2020. Businesses are boosting their total sales by an average of 10 to 15% when selling abroad, and approximately 20% of cross-border transactions are worth over USD 200.00, which represents a higher than average domestic sales. The internet also offers endless options for buyers around the world, with easier payment options, quicker delivery systems and a greater freedom for customers searching for novelties. Taking the global step requires a lot of research and time dedication. 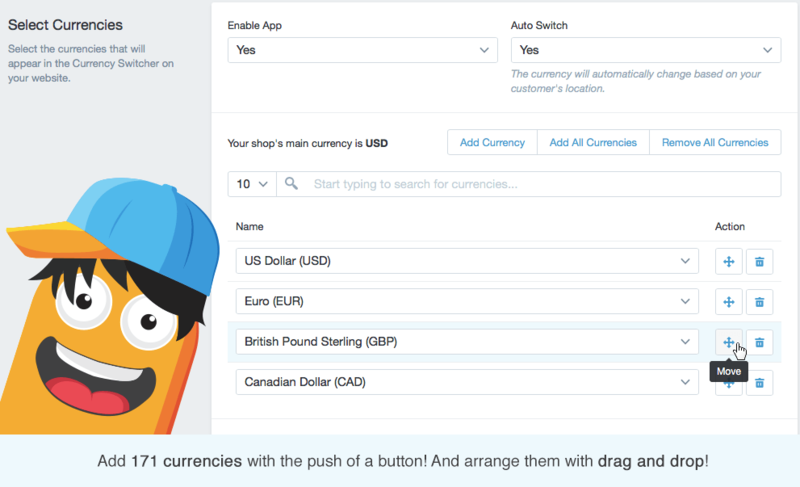 On this article we will teach you the importance of having a currency converter app on Shopify to increase sales and how to set one up. Customer experience is extremely valuable in any kind of business, but it is more so in e-commerce, when a single click can drive customers away. Product values displayed in US Dollars can scare off customers because they won’t instantly be able to tell if the purchase will fit in budget or not. The uncertainty can make shoppers give up on their full carts at very last minute. Or maybe your customers sighted with relief when seeing the prices in dollars but were scared off when they decided to research for the conversion rates by themselves, because there isn’t a standard rate for a given day or hour. This kind of uncertainty can reflect badly on your business as well, because by attempting to guess the exchange rate and seeing a different number on the credit card bill can be a frustrating experience for any buyer, and an unsatisfied consumer might give you a bad review on your website or social media accounts based solely on that – and that may drive other shoppers away. The benefits of converting currency on Shopify are many. You will be ending payment doubts, adding familiarity with the payment currency, a complete understanding of of the price that will be charged, a greater trust from the user and an equivalent payment UX when purchasing domestically and cross-border. All of this will make your customer feel safer and more willing to go through with their purchase. 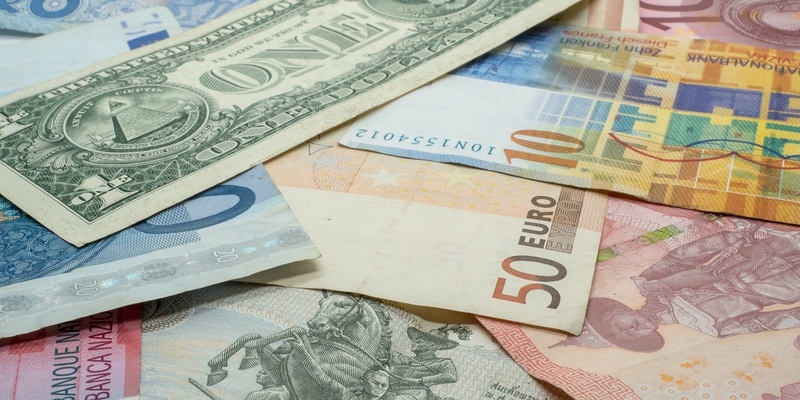 In order to drive uncertainty away and benefit from cross-border sales while still continuing to receive payment settlements in US Dollars, showing prices in multi currencies is a smart and critical move. 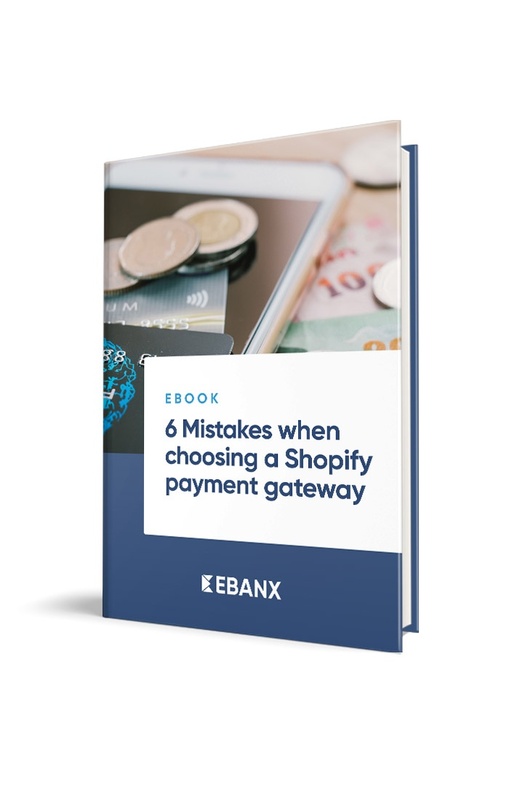 It is important to note, however, that Shopify’s native checkout page solely accepts the store’s default currency, and not multiple currencies, but there are different apps accepted by the platform that will convert currencies based on user location or change currencies as an option. It is possible to install different apps with different purposes on Shopify to help you expand your business, integrate them with external services and add different features to increase user experience. If you browse through Shopify App Store, you will find many options that offer currency conversion. BEST Currency Converter has a free version with up to 5 currencies and and Elite version for USD 9.95 a month with up to 160 currencies, and it has a lot of good reviews from users. They also offer three different themes for your currency converter. 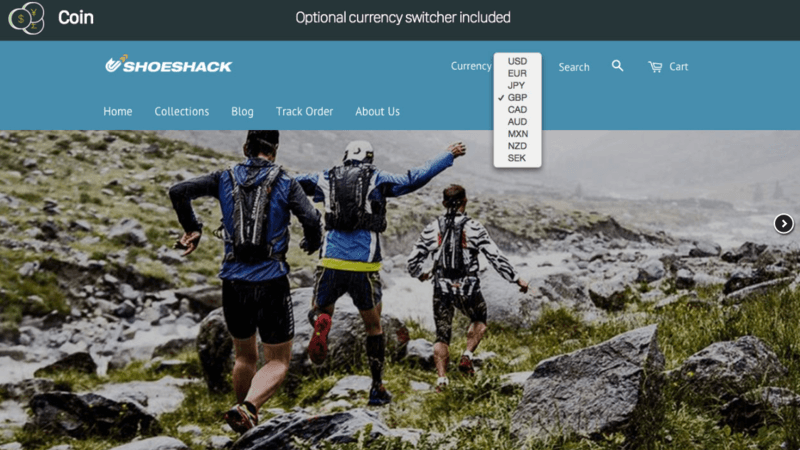 Auto Currency Switcher also offers a free plan and a paid one also for USD 9.95 a month, and has great reviews as well. It automatically changes prices based on location but it also gives users the option to manually change prices to whichever preferences they have. Coin has a 30 day free trial and a cheaper subscription than the other apps mentioned above, it costs USD 4.99 a month. It uses your shoppers IP addresses to find out where they’re accessing your shop from and it instantly converts the prices of your products for them. Some apps will automatically change prices depending on user location, while others will offer a dropdown menu so customers will be able to choose which currency they will want to view the prices of your products. As soon as you’re finished setting up your multi currency conversion app, you should be ready to sell more with a better user experience, in a way that will help you increase your conversion rates with a simple solution. Don’t forget: if you have chosen a free app with limited currency options, it is wise to know to which markets you’re targeting your products and which currencies to display. And while we’re at it, let’s take a look on emerging regions that are worth aiming for when expanding your business and which currencies they are using. 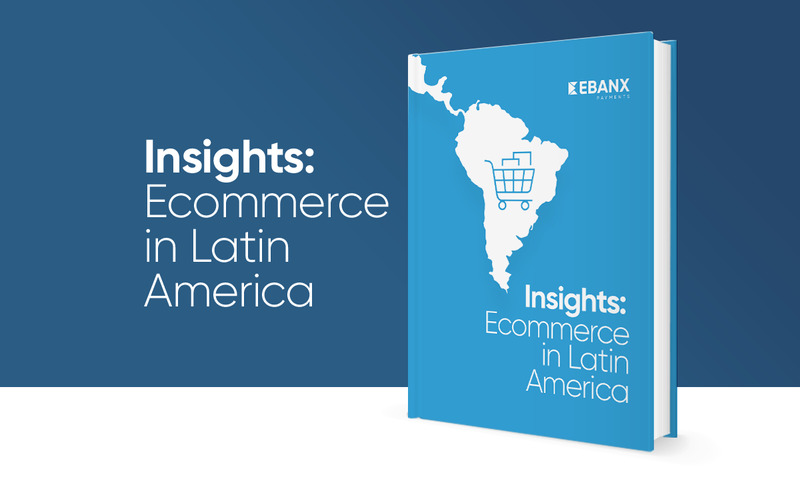 According to Business Insider, Latin America is one of the fastest-growing regions for e-commerce at the moment. Research agencies predict that Latin America, especially Brazil, Mexico and Argentina, will outpace other mature markets such as North America and Europe in terms of B2C e-commerce growth by 2021. Argentina, however, seems to be the fasted growing one. The top selling categories in the country are electronics, food and beverages, and appliances. While still in Latin America, Brazil deserves its own topic. The only Portuguese speaking nation in South America, the country with gigantic proportions represents the biggest e-commerce market in Latin America. Shoppers in Brazil spent more than USD 2.4 billion in cross-border e-commerce back in 2016 – and increase of 17% compared to the previous years, 2015. Brazilian customers are eager for new technology and appliances, and are willing to wait for long deliveries and even delays in receiving products due to competitive prices and exclusivity. They are, most definitely, picky shoppers. The country is home to the world’s second largest population with over 1 billion people, with a workforce over five times bigger than in the United States. However, India is still a waking giant. It is estimated that only 2% of the population makes purchases online. The factors limiting the e-commerce adoption in the country are the low levels of internet access, low levels of smartphone penetrations and difficulties securing financial services. The global leading in e-commerce spending should not be ignored. Chinese shoppers represented nearly half of all cross-border e-commerce sales in 2017. A rising GDP and a growing middle class makes possible the circulation of disposable income not only domestically but around the globe. What they like best are the quality of the products manufactured abroad. By 2020, it is estimated that 200 million Chinese people will be shopping via cross-border e-commerce. That should mean USD 245 billion in sales. But be aware, unlike Brazilians, the Chinese are no willing to wait long for deliveries. 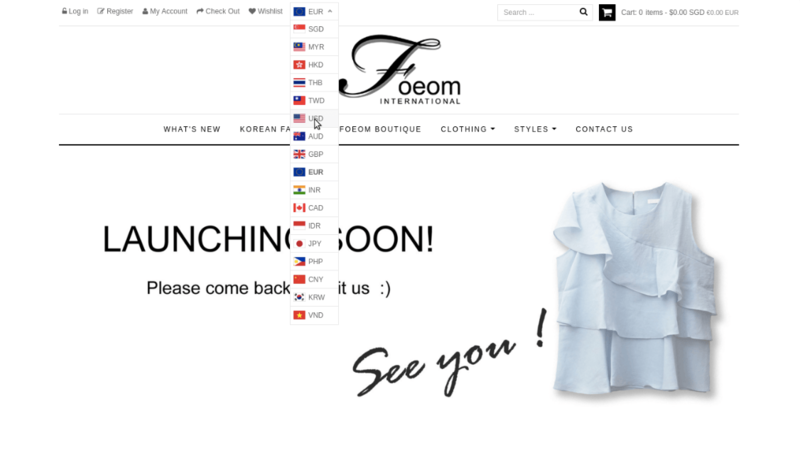 Hopefully this article has shed a light on a very common issue affecting Shopify users who are aiming to go cross-border and want to make the best out of the platform, attracting clients worldwide and offering them an excellent and complete shopping experience.